Contact us today for a Free, no obligation consultation about your directional and auger boring project needs. In a hurry? 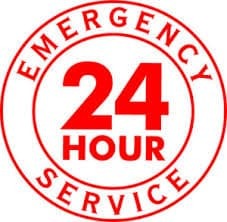 Ask about our 24-Emergency directional boring services. You can fill out the estimate form below or if you prefer call or email with any questions you may have about how to get your directional drilling or horizontal auger boring project bid. Contact Name, Contact Phone, Company, Company Phone, Email, Project Name, Public or Private, Project City, Project Address, Project State, Project Owner, Bid Date, Need Quote By Date, Bid Item (if Known, Length, Casing Size, Thickness of Casing Wall, Crossing Under, Carrier Size/Material, Force Main, Gravity Sewer, Water Main, Is Grade Critical, Is Line Critical, Pit Depth, Anticipated Schedule Date, Will Trench Boxes be Required, Who is to Install the Carrier Pipe, Is Fill of Annular Spaces Required?, Fill Material, What are the Soil Conditions, Is the Water Table Above or Below the Pipe, Are Boring Logs Available, Is the Site for the Pit Open or is it Tight, Vehicle Access to Site, Utilities in Area, Are There any Lines Overhead (Excavator Operation), How Critical is the Line and Grade, Do We Need to Hit an Existing Manhole or Line. Is the Water Table Above or Below the Pipe? Is the Site for the Pit Open or is it Tight? How Critical is the Line and Grade? What is: 4 + 3?